The business world is becoming more global, with increasing demand for experienced professional with the skills to become tomorrow’s leaders. Finding a job today can be challenging in the Western world. Job seekers don’t take enough into consideration fantastic opportunities linked to emerging countries and in particular Asia. Do you have the know-how to be that leader? Why not bring your unique exposure and vision to a student body from over 30 countries by enrolling in UBIS'- University of Business and International Studies, Masters in Business Administration (MBA) program? Take off to a successful career- the future of business starts today! 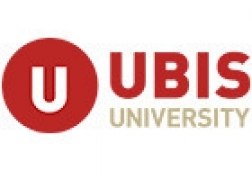 UBIS' MBA program is based on current educational trends in conjunction with real world issues. The program has been developed to meet the demand of the job market by helping to advance the careers of our graduates, and contribute to professional knowledge and competence in all aspects of business. authority in the private sector, in public administration, international organizations or non-governmental organizations. hours that are equal to 16 courses, including a thesis, over 15 months for full time studies. Studies include Preliminary courses (30 credit hours), plus Graduate Courses (48 credit hours). Students will spend 6 months in Geneva, 6 Months In Bangkok and, 4 months n an emerging market of choice. The graduate program requires completion of 48 US credits and can be completed in 5 modules, plus the final thesis, in 12 to 15 months, depending on your background. At UBIS there are 6 entry dates per year.